Most cruise lines require you to check in online before arriving at the pier. You can begin the process right here. Need a passport or visa? We’ll walk you through all the steps, for any country. Express service available! Register here in advance for your shore excursions. Plus, learn about custom or individual sightseeing tours. Please visit the U.S. Department of State website for important embassy messages, facts, contact information and more. Each month we dedicate a newsletter to a specific cruise line. Look for updates from the cruise line, news about new ships and promotional offers. 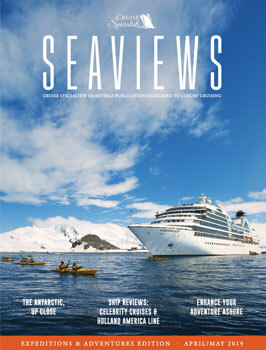 Our quarterly magazine is the best place to receive in-depth information about unique cruise itineraries that we’ve hand-picked for our clients.